On January 8th, 1927, Walsall played Corinthians in the FA Cup Round Three at Fellows Park. Club officials were expecting a crowd of up to 30,000 wanting to see this game and in order to do so it was deemed neccessary to enlarge the embankments and the enclosures to twice their former size. 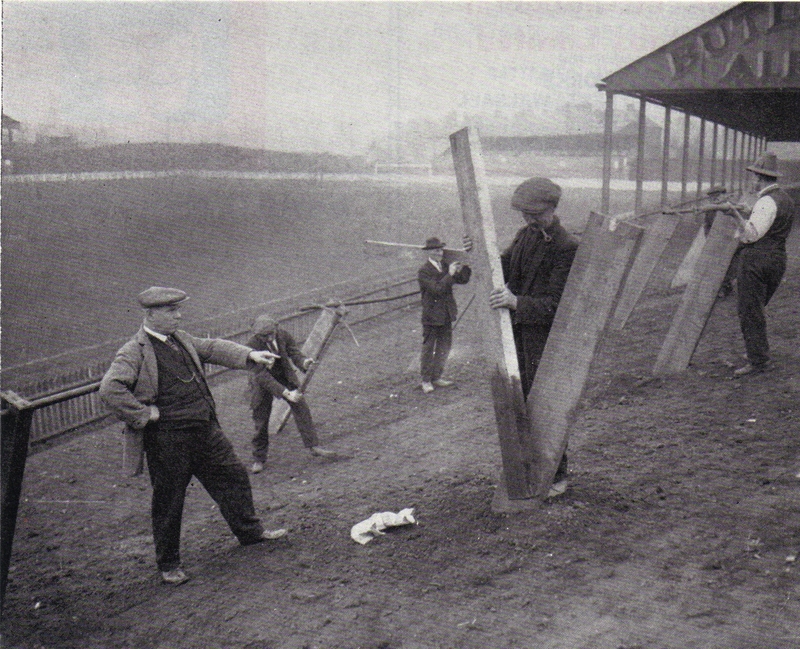 On the left of the picture is club secretary, Mr J. Burchall, supervising the workmen on the popularside of the ground.If you look closely behind the Hillary Street goal the small wooden seated stand, which seated 500 spectators, was still there in the 1920’s. For the game itself, Walsall crashed 0-4 and the attendance was 16,607.